At the end of this project the artist will show her paintings and play excerpts of audio recordings she did during the sessions with her subjects. The artist was filmed during the painting sessions by Marco Bonfante who has created a documentary film of the entire project. During a journey in Barcelona, the artist spends much time studying and drawing the physiognomy of people in parks. Following her survey on choreography attending the contemporary dance Festival "Associació Maratò de L'espectacle". Journey to Senegal (Africa). Carol Pilars de Pilar remains mostly in the rural villages to portray locals in watercolors. She attends a personal dance seminar with Moussa Diagne dancer and musician for traditional dances from Senegal and founder of te band "Lamp Fall". Starts to paint life-sized portraits with watercolors on paper. The paintings are done in the living quarters of her subjects. She makes biographical audio recordings to accompany the portraits. Her models are people who live in Germany but have different national and cultural backgrounds. The biographical audio recordings will be composed to a collage that are a sequential arrangement of memories. The musicality of the voices take a big part of the composition. Taking singing lessons sensitizes her perception of voices, their tone and rhythm. 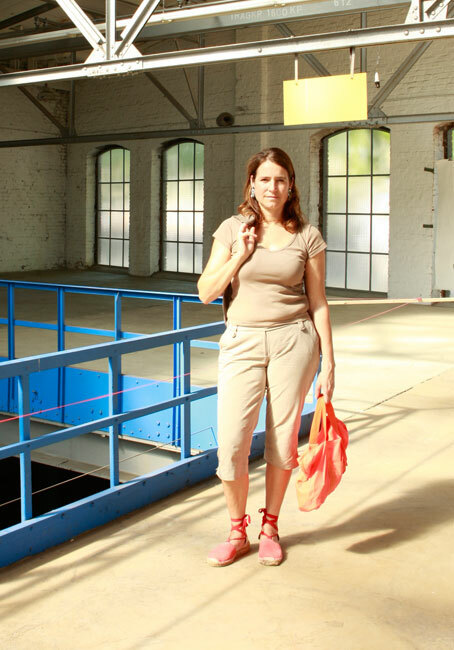 After receiving the grant of the Stiftung Kunstfonds/Arbeitsstipendium she creates the big sculpture "cherry tree". The sculpture is made at Nils Dietrich's studio in Cologne "Architectural Ceramics". A journey to Egypt with Andreas Gursky and other artists, sponsered by Neckermann & Co. She develops a series of watercolors that are shown within the other artist in the head office of Neckermann. Jean-Christoph Ammann, at the time Director of the Museum of Modern Art in Frankfurt, opened the exhibition. Carol Pilars de Pilar begins to paint and to work on sculpture. She interacts with many artists from the Art academy of Düsseldorf and in the atelier complex she is part of. It is a time of experimentation during which she investigates on materials, and on how materials shall shape her ideas in their becoming an art work. She travels to New York and engrosses herself with american contemporary art. Internship at the Restoration Workshop for Contemporary Art at the Restaurierungszentrum - Kunstmuseum Düsseldorf and the Städtische Gallerie im Lenbachhaus in München. Apprenticeship in the restoration of original Renaissance paintings in the studio of Maurizio Bazzini in Florence, Italy.